We are committed to creating beautiful smiles. As we start this journey together, we will develop life changing benefits for you. Our mission is to exceed your expectations. 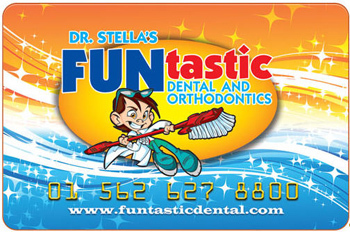 You can view your points any time at www.FuntasticDental.com. Click on the Rewards Card Program icon and enter your 16-digit rewards number and 4-digit password to check your current points. View the on-line Reward Guide and check for special contests and gifts. If you have any questions, talk with any of our team members! Earn points for being on time to your appointment, having excellent oral hygiene, being a great student, “Liking” our Facebook page, scheduling your next appointment before leaving and much more! The more points you have, the more prizes you receive like: iTunes, Best Buy, Target, Toys R Us, and many, many more. Always remember to bring your card with you to your appointment to receive points. Just ask us for more details, we’d be happy to speak with you! We love to give recognition to our new friends. Here are the new patients that became members of our practice family this past March. We’d like to welcome you publicly & wish you all the best. Mehras Amirahmadi, Xavier Archer, Jacob & Valerie & Jose Ascencio, Christian Basconcillo, Cali & Kayla-Dior Bell, Makayla Bolin, Luke Brown, Jace Caldwell, Alyssa & Arianna Carrillo, Isabella Chavez, Brendan Chen, Elijah Colon, Logan Dahlquist, Brittney Dang, Maluchi Enenwali, Gianna Foran, Josiah Fullilove, Noah Garcia, Gus Gilman, Nikolas Gonzalez, Raquel Hampton, Tristen Hauffen, Madison Jones, Taylor Joseph, Harlow Kelleher, Enzo Kerley, Kyle Kubis, Isabella & Julian Leon, Joshua Letsinger, Jacob Luse, Madison Ly, Harmony McGuffin, Crissy Jane Mojica, Jacob Munguia, Aya Naylor, Ryan Orantes, Luca Ortiz, Faith Pace, Ian Parubrub, Mia Perez, Victoria Pettit, Cristino Pinto, Cormac Pitts, Aiden Poffenberger, Mario Ramirez Jr., Elizandra & Izabella Ramos, Jonah Ranz, Everado Rendon, Nain & Sarahi Rodriguez, Daphne Rogers, Ethan Ruiz, Ashton Seib, Owen Shin, Chloe Skerik, Chili Sloop, Logan & Parker Sohn, Summer Sorensen, Maia Stefens, Aiden Taotaoi, Leeann Thao, Adrian Torres, Nathan Turley, Layla Valdez, Jose Daniel Villasenor, Liam Viteir, Oliver & Sullivan Warner, and Chloe Yeaton. Sports Drinks = Cavities ? Sports drinks. New research from NYU finds that they can cause severe tooth decay. And it’s not all from the sugar. Dr. Stella says, “They’re loaded with acids, and to the surprise of everybody, the acids are actually a big part of causing enamel erosion.” He says acid strips calcium from the enamel of the teeth. “It pretty much washes away your enamel, and you only have two millimeters of enamel normally. So you are not allowed to lose much of it,” says Dr. Stella. “I know that stuff is bad for your teeth now, so I don’t drink it that often anymore,” says Zenda. Dr. Stella urges parents to limit sports drinks and cola whenever possible. When you do have these beverages, use a straw. Drink water immediately afterwards and wait at least 30 minutes to brush your teeth. It also helps to use an acid neutralizing toothpaste. Many dentists and parents are worried that kids are drinking too much soda and that they are at risk for developing dental cavities. However, new research shows that sport drinks may also contribute to tooth decay. However, the National Soft Drink Association (NSDA) cites a study conducted by researchers at the University of Michigan School of Public Health, which shows that soft drinks do not cause increased cavities in children or young adults. The NSDA goes on to say that it is unfair to blame soft drinks or any single food or beverage as the cause of cavities. The NSDA points out that many factors contribute to cavities, including the types of foods that are consumed, the amount of time those foods are in the mouth and lack of proper oral hygiene. Cavities are caused by plaque, a build-up of bacteria on the tooth enamel. Sugar plays a harmful role in the development of cavities because it provides energy for the bacteria to multiply more quickly. The sugar is turned into a kind of glue that makes it harder for the bacteria to be washed away with saliva. Plaque that does not get washed or brushed away produces acid as it eats up the sugar. The acid dissolves the minerals that make up the tooth enamel and a cavity is formed. Eat a balanced diet and limit the number or between-meal snacks. Sugared foods and starches, such as bread, crackers and cereal, cause bacteria to flourish. If you need a snack, choose nutritious foods such as raw vegetables, plain yogurt, chess or a piece of fruit. Brush teeth twice a day with a soft-bristled brush. Use toothpaste that contains fluoride which helps protect teeth from decay. Use floss or interdental cleaner to clean between the teeth once a day. After drinking sodas or sport drinks, kids should rinse out their mouths with water to wash away excess sugar that bacteria consumes to create acid. Kids should drink soda from a straw to reduce sugar exposure to their teeth. Drink soda from a can, not a bottle with a replaceable cap, to deter sipping throughout the day, which can exacerbate acid attacks. Call us for more information or an appointment today, (562) 627-8800! I Many people think of braces as a teenage rite of passage, but more adults are taking advantage of the opportunity to improve their appearance and oral health by getting braces. Teeth can be moved and straightened at any age, and the benefits go beyond cosmetic. Crooked or crowded teeth or a misaligned bite can make teeth cleanings more difficult, which increases the risk of tooth decay and gum disease. Also, a misaligned bite can interfere with speaking and can even lead to jaw problems. No matter what your age, you can choose braces that are inconspicuous or obvious. If you want your braces to be subtle, ask Dr. Stella about Invisalign. Or, if you have brackets attached to the front of each tooth, they are available in clear or tooth-colored versions. But you can make a statement with your braces, too. You can choose brackets in your school colors and brackets are available in different shapes, such as hearts and footballs. If you play any contact sports that might result in a head or jaw injury, be sure to wear a protective mouth guard. If you aren’t sure what type to buy, ask your dentist for a recommendation. Don’t put off your braces consultation any longer, we offer free orthodontic consultations for kids and adults twice a month, call us to reserve your appointment today (562) 627-8800. 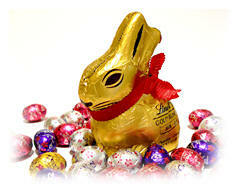 Did you know that Easter is one of the top-selling candy holidays celebrated?It’s actually second to Halloween! This really didn’t come as a big surprise to us knowing that many children receive baskets and eggs full of candy. In fact, we read that the National Retail Federation has said consumers are expected to spend more than $2 billion on candy this year!! WOW! Dental health is very important, and with the unavoidable sugary treats many of us give our children each year for holidays like Easter, it concerns many of us that their oral health may be at risk. Tooth decay is the most common chronic childhood disease…even more so than asthma and hay fever! I’d say with those facts, parents have a right to be concerned, wouldn’t you?!! We are asking that you consider alternatives to candy this Easter. For example, stuff their basket with books, gift cards, movie tickets, videos, cool powered-toothbrushes, fun toothbrush timers, school supplies, etc. In fact, we have you covered with FUN powered-toothbrushes available in our office. Also, we carry many Sugar-Free treats that you can stuff in their baskets and inside plastic eggs. We have Sugar-Free jelly bellys, gummi bears, chocolate bunnies, peeps, coconut eggs, chocolate eggs…..and so much more. Stop by today and receive a FREE GIFT with your Sugar-Free Easter Candy purchase of $10 or more.